Smt. Pratibha Patil had a major people-friendly initiative to her credit. A large number of complaints and petitions were received at Rashtrapati Bhavan every day. Till before her Presidency, petitions were handled manually, which she felt was time-consuming, not very effective and also not in keeping with changing technology. Under her guidance and insistence, the system was digitized with the launch of a ‘Helpline Portal’ by the Smt. Pratibha Patil on July 24, 2009. The Portal has now made it easier for the citizens to lodge their grievances and to get them redressed. Smt. 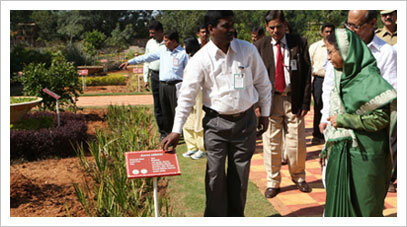 Pratibha Patil ensured that the gardens of Nilayam (President’s Estate at Hyderabad) were well maintained. She has added an Herbal Garden. This Garden and other Gardens at the Nilayam are now kept open for public viewing just like the Mughal Gardens in Rashtrapati Bhavan. Thousands of visitors flock the Nilayam dating the fortnight when they are open. 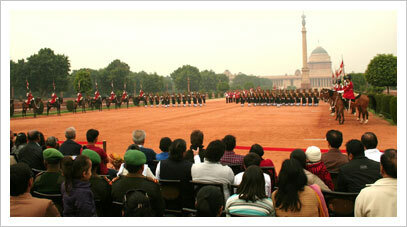 The Change of Guard Ceremony has been a part of Rashtrapati Bhavan tradition for many years. However, during her Presidency, Smt. Pratibha Patil felt that this Ceremony should be made more attractive and the general public was allowed to witness it on a regular basis. The Ceremony is now held every Saturday wherein viewers get an opportunity to walk through the Central Gate into the Rashtrapati Bhavan precincts. It has now become a major tourist attraction. 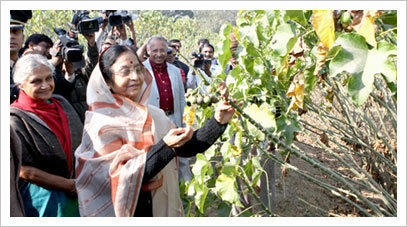 The Nature Trail has been developed on President’s Estate because of Smt. Pratibha Patil’s desire to keep open the precincts of the President’s Estate to the public for creating awareness about the environment and ecology. The visitors can walk through 75 acres of the President’s Estate, which has a natural forest ecosystem, an agro-eco-system, and a pond ecosystem. In this way, not only, does the public became aware of the flora and fauna of the Delhi Ridge area, but also got an opportunity to come closer to Rashtrapati Bhavan. Smt. 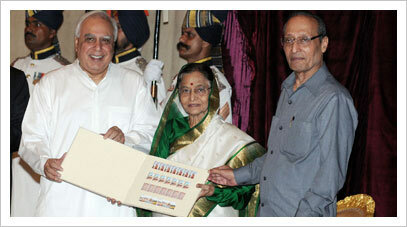 Pratibha Patil has also desired the opening of a curio shop at the reception of Rashtrapati Bhavan. 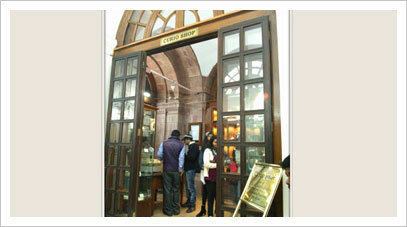 The shop is shifted to Mughal Gardens when they are open and draws large crowds of souvenir seekers. Smt. Pratibha Patil released a postage stamp on 80 years of the commissioning of the building that is now called Rashtrapati Bhavan. The plan to build a residence for the Governor-General for British India was announced at the Delhi Darbar in 1911 when plans to shift the capital from Calcutta to Delhi were made.